Bloomsday is upon us. 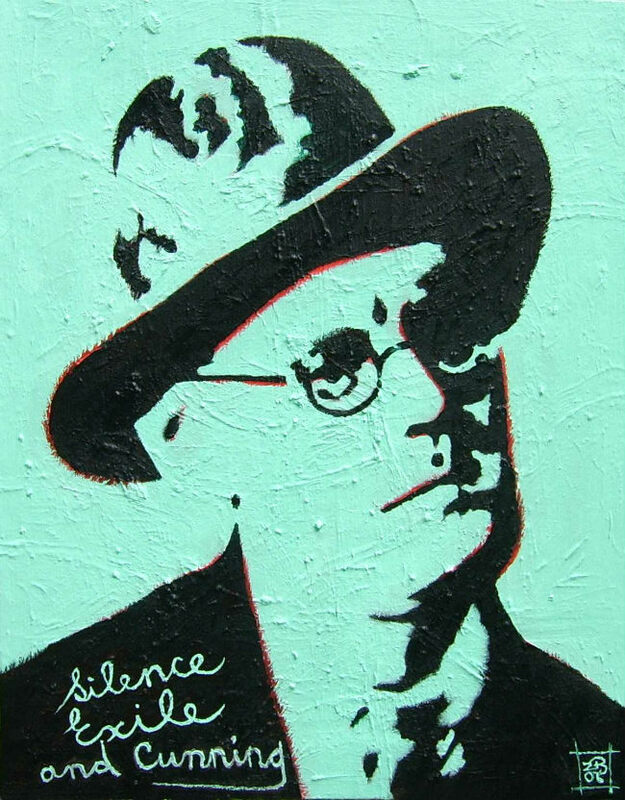 Today, Bonjour Paris celebrates the life of Irish writer James Joyce who spent 20 years in the French capital. With Joyce’s most prominent work Ulysses centering around two characters who undertake a labyrinthine journey across the city of Dublin, we felt it apt to take a walk in the Parisian footsteps of Joyce, tracing out some of his most notable abodes and favored establishments in the city. 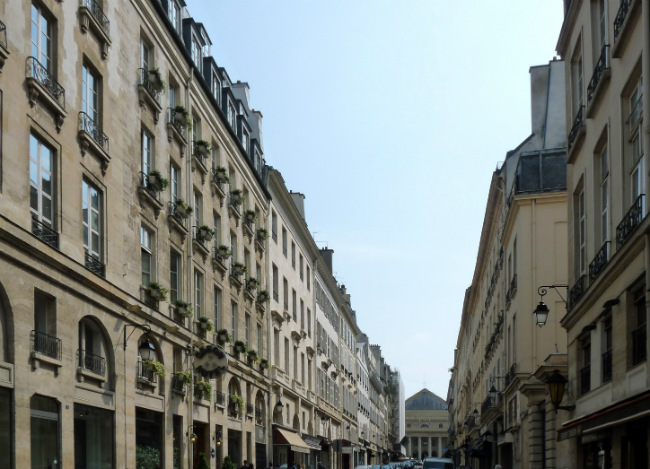 Just a short walk from the Odéon theatre in the 6th arrondissement is Rue Corneille, a narrow street once home to the Grand Hotel Corneille. It was here that Joyce took up residence when he first arrived in Paris to study medicine in 1902. The hotel had previously been popular with other Irish creative types with affinities to Paris such as W.B. Yeats and J.M. Synge who had in fact crossed paths during their respective stays in December of 1896. Joyce, however, struggled to acclimatize to the city– at first running into difficulty after only 12 days. Along with some money, his parents sent a letter instructing him to return home for Christmas, but Joyce’s stay at number 5 was not entirely short lived. In the New Year, he returned to the hotel where he remained until news came of the death of his mother in early April. Worthy of note in the vicinity is the former address of the original independent bookstore Shakespeare and Company at number 12 rue de l’Odéon. Its owner, Sylvia Beach, would eventually publish Ulysses in 1922. She was well known for her hospitable disposition, particularly towards aspiring writers, and she kindly allowed Joyce to use the shop as an office during which time he humorously nicknamed it “Stratford-on-Odéon”. A plaque erected by the James Joyce Society of Sweden and Finland has marked the spot on rue de l’Odéon since the late 1990s. 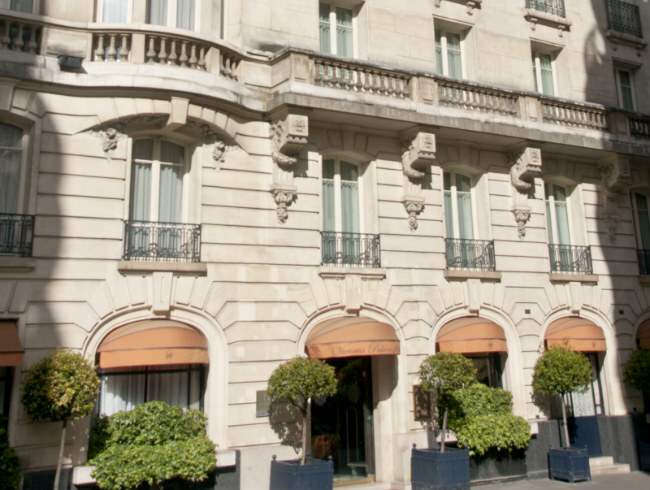 A 15-minute stroll along Rue de Vaugirard towards Boulevard Raspail will leave you at the Hotel Lutetia (currently closed for a large-scale restoration). Also located in the 6th arrondissement, the Hotel Lutetia is famous for having attracted some very influential guests through the decades among them Pablo Picasso, Charles de Gaulle, Peggy Guggenheim, Josephine Baker and indeed James Joyce. It was between the hotel and the brasserie in which Joyce was fond dining, that he worked during the winter of 1939. Between 1923 and 1924, Joyce and his family took up residence in the Victoria Palace Hotel, just a 10-minute walk from the Hotel Lutetia. Although the Victoria Palace was rather costly, Joyce had received a large sum of money from one of his most generous benefactors, Harriet Weaver, and he was able to afford rooms for himself and his family, living in luxury for almost a year. It was during this time that Joyce began to work on the ‘Shaun the post’ episode of Finnegans Wake. Interestingly the initials V.P.H. appear in chapter four of the text in reference to a tailor’s tag on a piece of clothing. Today, very little has changed about the hotel, the Victoria Palace has maintained its reputation as a luxurious and elegant establishment with five-star status. Another of Joyce’s 19 addresses in the city was an apartment in the 5th arrondissement along the steeply slanting rue Cardinal Lemoine. Joyce pilgrims will notice a plaque which was erected by the local residents before the passageway gates not so long ago. Joyce lived in the apartment marked ‘E’ at the back of the courtyard during the summer of 1921 and it was here that he is thought to have finished editing Ulysses. Chez Francis on the Place de l’Alma in the 8th arrondissement was one of Joyce’s favorites places to enjoy a fine meal and a strong drink, although it was cheaper back then; today, Chez Francis is an expensive establishment albeit with great views of the Eiffel Tower. 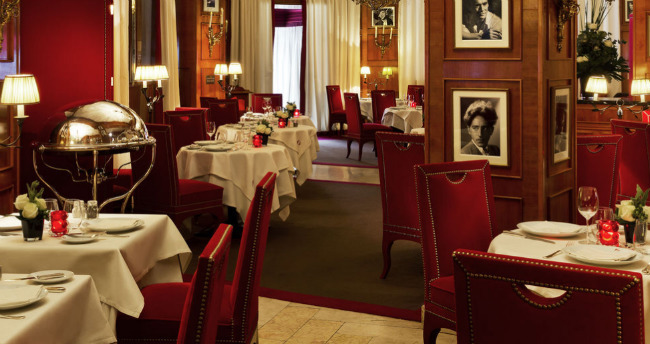 During his later years, Joyce regularly frequented Fouquet’s on the Champs-Élysées. 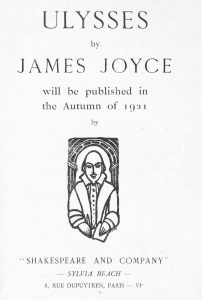 Joyce would sip Alsatian wines all evening while writing Finnegans Wake as his family ate. The story goes that after one of these dinners with the Joyce family, Samuel Beckett, a great admirer and friend of Joyce, met American art patron Peggy Guggenheim “whom he escorted home for an intense marathon in bed” – an affair which she details in her memoirs. Fouquet’s still remains today a fine example of a high-class French brasserie with renowned chef Pierre Gagnaire bringing a twist to the menu. Originally built in 1812 in St Germain, Les Deux Magots is one of the oldest and long-standing cafés in Europe not to mention in Paris. Hailed as the place where 20th century visual art and literature came into being, it was here around a table that American novelist Djuna Barnes interviewed Joyce; Pablo Picasso and Georges Braque brought to life the Cubist movement; and Simone de Beauvoir and Jean-Paul Sartre philosophized. Today, sipping a coffee on the terrace of Les Deux Magots might make you feel as if you could have been part of the Lost Generation. 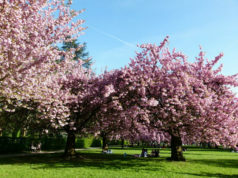 Dedicated to Joyce in 1998, this little square in the 13th arrondissement that bears his name is a pretty place when the pink and white blossom trees are in bloom. Although Joyce and his wife Nora Barnacle lived at 19 different addresses in Paris between 1920 and 1939, they never set up base in the 13th arrondissement. In spite of this, the garden’s Left Bank location, its appropriate proximity to the Bibliothèque nationale (the National Library) and the names of the surrounding streets such as rue Larbaud– named after French novelist and close friend of Joyce, Valéry Larbaud– make it a very fitting setting indeed. Sometime between 1927 and 1939, James Joyce lived in an apartment above my mother’s on the Quai d’Orléans, on Ile St. Louis facing the Seine and the apse of Notre Dame. I have included his conversations with the protagonist (aka my mother) in my book ‘A CRUEL CALM, Paris Between the Wars’ which took me 14 years to research and write. 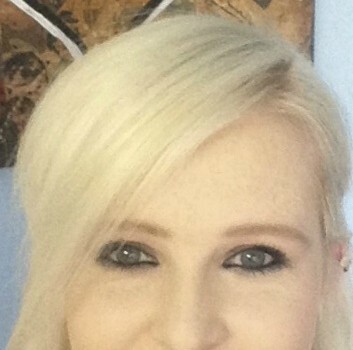 My mother died when I was only 18 and told me very little about her life before my birth. But she did tell me of her meetings with James Joyce and with Silvia Beach. This fascinating article parallels a blog I wrote while doing research for my critically acclaimed novel, The Pilot: Fighter Planes and Paris. 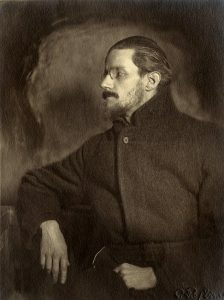 James Joyce is also mentioned in the blog. Check it out at http://www.edcobleigh.com. This exquisite article with large LEAVE A REPLY box at the bottom reminds me that I need to draw attention to some of my own writing, the aforesaid and vastly memorable “To Do List'” which includes such items as 1. Acquire Talent; 2. Failing Talent, Acquire Funds; 3. Spend Funds Spectacularly in Paris. Just kidding. Kudos to all the writers here. I’ll look up your work, thanks. Always love to read anything connected to writers in Paris.